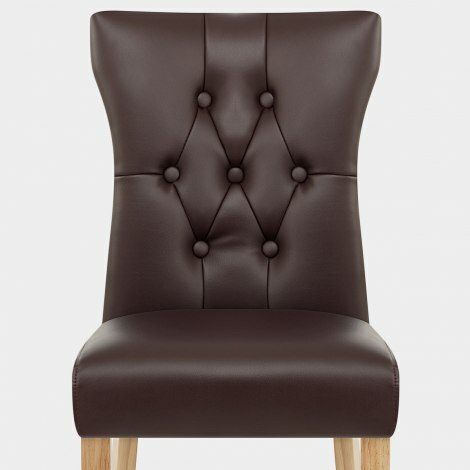 The Bradbury Oak Dining Chair Brown fuses traditional style with fashionable finishes. An indulgent item with classic detailing that is always on trend, the Bradbury will remain a family favourite with its unprecedented comfort and complementary style. 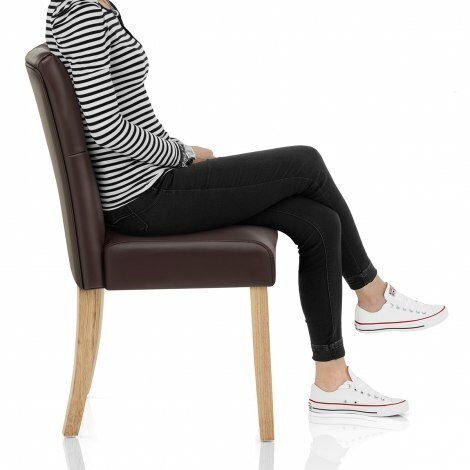 Dense padding and a belted seat frame make this a super comfortable design, with brown faux leather making a soft yet durable addition. Supportive and sophisticated, the tall backrest also has a subtle winged design that gives a modern contrast to the classic button detail. 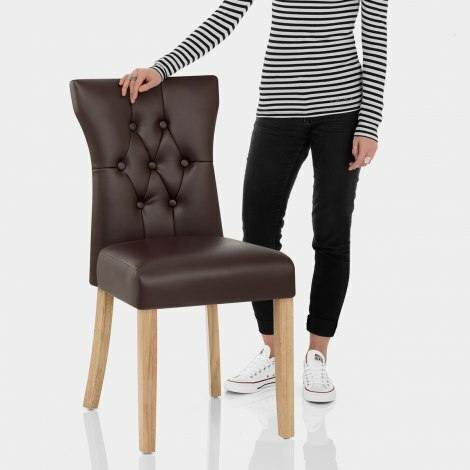 Four legs create a stable frame and exhibit a rustic oak finish that makes a stylish accompaniment to the brown seat. Each leg has a protective plug that works to care for your floors, ensuring the Bradbury is a practical addition to a range of settings. Excellent product.. matched existing chairs.. quick delivery.